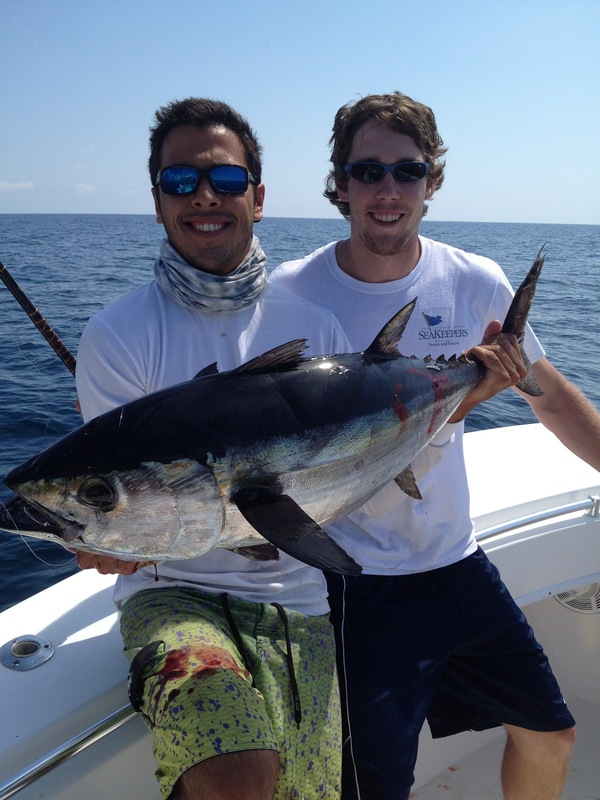 Spring time is an excellent time of year to specifically target big blackfin tuna off Miami. Using lighter leaders and thin wire hooks, anglers can ensure that their terminal gear is practically invisible to the keen eyed predators. Today we left the dock early and headed to Bug. Bait was slow so we hit another spot and threw the net and loaded up on cigar minnows and spanish sardines. We ran to the edge and did a long drift from 130' out to sea with the southwest wind. 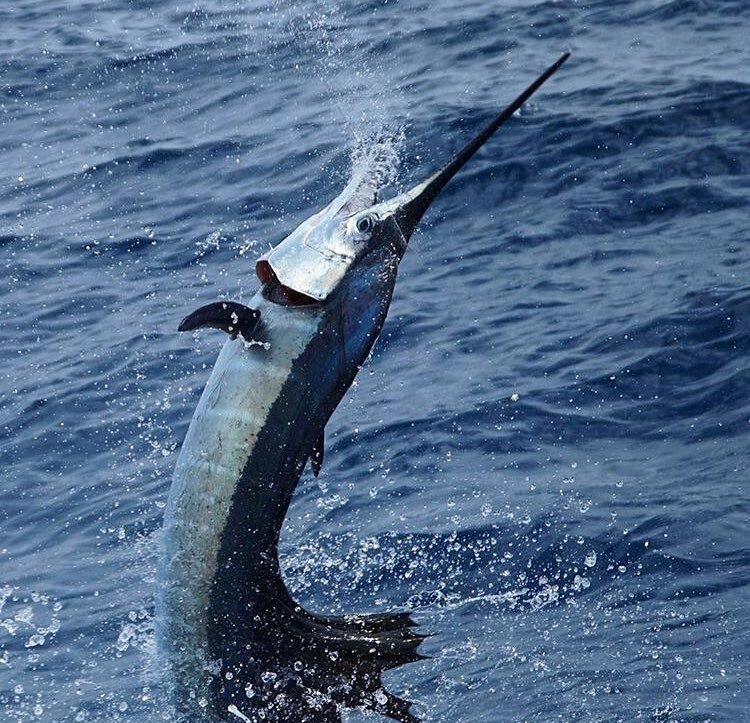 In about 300' a sail came up on the left mid, and inhaled the spanish sardine on 30 pound fluorocarbon (We were targetting blackfin so everything had a fluoro trace). The fish was very acrobatic and danced around the boat in circles. We got the release after a few minutes. After a few more minutes we reset in 125' off of Fowey. There was a decent lull without action but then it picked up. One of the mid lines started singing and the fight was on. Klevan was on the reel and it was fairly clear what was on the end. The death spirals tightened until we saw color on the 31 lb blackfin. A large hammerhead was right behind it trying to swallow it. It was like watching a dog trying to eat a basketball... We got him to the gaff and he was in the boat unscathed by the hammer. Right after this fish we had a few back to back cut offs and then landed a snake king. We had a nice blackfin boil on the long kite bait but miss the hook. Seconds later one of the flats went off again. This fought like a textbook blackfin but a little smaller. 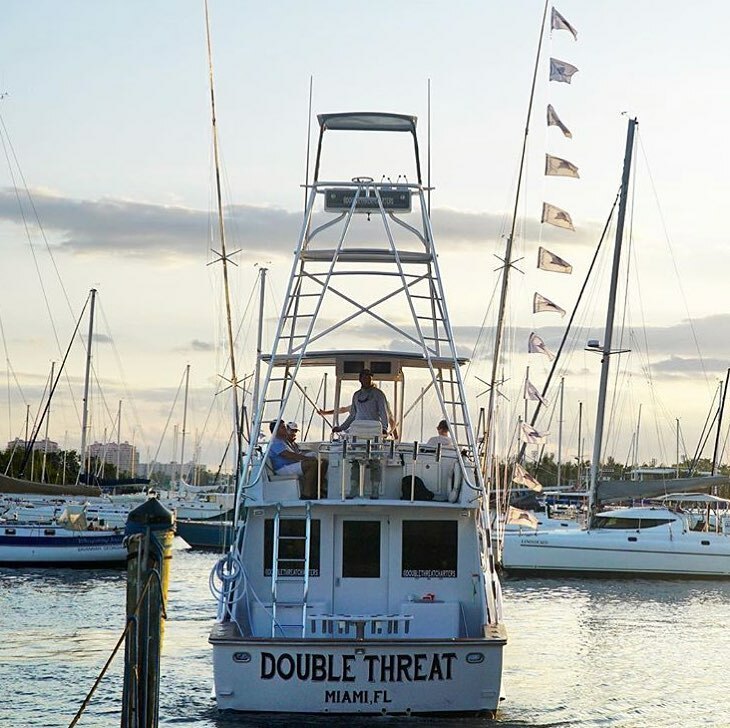 Copyright © 2017 Double Threat Charters· All rights reserved.